Established in 2006, the Hancock Wildlife Foundation aims to expand upon the more than 50-year career of David Hancock who has spent much of his life lecturing, undertaking research and teaching wildlife and conservation issues to various groups and organizations, particularly involving Bald Eagles. The mission of the Hancock Wildlife Foundation is to promote conservation of wildlife and their habitats through science, education and stewardship. Since 2006, the foundation has been a world leader in the development and distribution online of live streaming webcams which have been installed in Bald Eagle nests and underwater in rivers across southwestern British Columbia. The Hancock Wildlife Foundation has more recently been heavily involved with the development of mitigation measures for the removal of Bald Eagle and Osprey nest sites across the province. In particular, HWF has undertaken multiple forms of nest site mitigation options over the last several years and has developed current methodologies that have been readily accepted and proven successful by nesting Bald Eagles. Part of this mitigation effort has been built upon on-going monitoring of more than 400 Bald Eagle nesting territories in the Lower Fraser Valley (HWF study: Bald Eagle Nesting Success & Distribution in the Lower Fraser Valley). The Hancock Wildlife Foundation has also undertaken in the Lower Mainland three recent initiatives involving the short and long-term protection of raptor and specifically bald eagle nesting habitat: (i) creation of The Tree Bank – (Raptor Nest Tree Database (RaNTD) to document existing and near-future nesting trees in areas deemed to be of excellent raptor nesting potential, (ii) the cataloging of “Potential Bald Eagle Nesting Habitat Areas” that might become official or private “Preserves” of general habitat but specifically areas that meet the needs for nesting bald eagles. These sites are largely on Crown or City lands. And (iii) we have established The Raptor Mitigation Trust Fund (RMTF, The Nest Fund) to allow mitigation monies from individuals, developers, industry or government agencies and donations (this is a Not-for-Profit Foundation) to go specifically towards raptor habitat improvements, distribution studies and monitoring activities. This fund has, to-date, received monies from private donors and industry mitigation funds provided to the HWF by clients receiving consultation. (Examples of modified trees from “The Tree Bank”, a newly established “Bald Eagle Preserve”, and how the “Mitigation Fund” has been used can be provided upon request). The Hancock Wildlife Foundation is also a major contributor to the recently launched Bald Eagle Tracking Alliance (BETA), a program spearheading research on the tracking and monitoring of Bald Eagles in the Pacific Flyway using GPS transmitters and banding techniques. While this project is currently in the proof-of-concept stage, it has already received private donations and grants from the Molson Foundation via our Simon Fraser University affiliation and from the HWF. Objective: To conserve habitat and specifically the habitat elements essential to preserving Bald Eagles nesting and occupying an area over the long-term. Most of our consulting efforts are directed at (i) preserving, (ii) creating or (iii) mitigating against loss of existing Bald Eagle habitat – often the loss of Bald Eagle or Osprey nesting trees. Our most satisfactory projects result in reaching all three of these objectives. Our conclusions are not rooted in law, but in our understanding of ‘wise use of our environment’ and how Bald Eagles and other raptors can continue to co-exist with humans. Furthermore, the Hancock Wildlife Foundation has pioneered installation of live streaming cams at raptor nests, underwater sites, etc., and would be prepared to also consult on this service. The practical aspects of building Bald Eagle, Osprey or other raptor nests in the right habitat and monitoring them with live cams is the Foundation’s expertise. Approach: David Hancock and Myles Lamont have, between them, been studying and consulting on Bald Eagles for over 70 years in British Columbia and around North America. This time has focused on how Bald Eagles have adapted to our urban environment and how human activities in turn have disturbed eagles. Despite how humans have disrupted the world’s ecology, and specifically destroyed Bald Eagle habitat through cutting of trees associated with riparian habitats, the most remarkable feature of our human-Bald Eagle relationship is that eagles are much more adaptive than we give them credit for. In any consultation regarding proposed modifications to Bald Eagle habitat, nest and perching trees, the encouragement of eagles into an area, or developing some mitigation plan to allow for commercial intrusions into existing eagle nesting habitat, we try to speak for the birds. When development goes forward, how can it proceed with the welfare of eagles being paramount. How can a best management practices plan benefit habitat, the eagles and their associated species over a long-term period, yet co-exist with development and humans? This effective co-existence is usually possible with proper planning. Areas Where Our Consultation Might Help: The Bald Eagle has become adaptable to the incredible food sources of the urban and suburban environments. However, much of a raptor’s nesting requirements include little disturbance the nest site. How we present them the needed security at or near the nest, not necessarily below or around the nest, is what keeps eagles nesting — or moving on. Most of our recommendations revolve around providing eagles with a quiet nest located 60 – 100 feet (25-32m) above the ground, either in an existing territory or through altering another site where they could construct a nest — this option is referred to as “off-site mitigation.” Our specialty is moving nesting raptors, specifically Bald Eagles, and enticing them to nest in adjacent or new areas to avoid human conflict. Consulting References: For general reference on this topic please visit the web site: www.hancockwildlife.org, view the book The Bald Eagle of Alaska, BC and Washington by David Hancock, or ask to see select relevant references for consulting and mitigation in this field. Another publication we produced — Raptor Research & Management Techniques, is another highly-recommended reference. Costing of Consultation: Our fees are variable but are always passed on to the Hancock Wildlife Foundation. If some consultation has specific commercial values then we expect the HWF to receive ‘fair payment’ for this effort. We state the above since we constantly donate time to non-profit causes – and if you are not one of them we hope you will consider supporting our projects! If you seek our consultation to meet some desired or obligatory mitigation objective and you will monetarily benefit then we expect to work towards an equitable commercial consultation fee structure. David Hancock has spent most of his life studying west coast and arctic wildlife. He has published scientific and popular books and papers on whales, seals, seabirds, grouse and his speciality, the northern raptors. David is a graduate of the University of British Columbia and has focused much effort following the bald eagle adaptations to the urban environment. Prior to starting Hancock House Publishers, he was a pilot and wildlife film producer – again specializing in the native cultures and wildlife of the coast and north. In 2006, he and fellow Director Dr. David Bird founded the Hancock Wildlife Foundation. Today David is involved with various Bald Eagle projects, including his pioneering programs broadcasting live streaming web cameras to the general public and consulting on Bald Eagle mitigation programs, where he brings his ecological understanding of “Speaking for Eagles” to the business table. Presently, he is helping develop the Bald Eagle Tracking Alliance in the Fraser Valley – a project he spearheaded with the HWF. David has developed a monitoring database of over 400 pairs of nesting Bald Eagles in the Lower Fraser Valley that enables an understanding of competing eagle territories. David also sits as consulting biologist on numerous boards including the Harrison Salmon Stronghold and the Fraser Valley Bald Eagle Festival Committee. Two of the present bald eagle nests in the lower Fraser Valley displayed on the Hancock Wildlife Foundation live streaming cam web site are nests he and the HWF supporters built from scratch. David Hancock also authored the book: The Bald Eagle of Alaska, BC and Washington. Myles Lamont is a wildlife biologist, zoologist and naturalist hailing from the west coast of British Columbia. He completed his Bachelor of Science at the University of the Fraser Valley majoring in biology and ecology, a past recipient of Wildlife Preservation Canada’s fellowship program, recipient of the International Wild Waterfowl Association’s outstanding service award and an active member in many wildlife organizations and NGO’s. Working professionally as both a wildlife biologist and a zoologist, he has a strong passion for wildlife conservation, reintroduction biology and the management of threatened species. He is a Registered Professional Biologist, Certified Wildlife Biologist, a registered Environmental Professional, Applied Science Technologist and a fellow of The Explorers Club. He has worked both internationally and domestically on wildlife conservation projects, from the high arctic and boreal Canada to the tropical forests of the Indian Ocean. 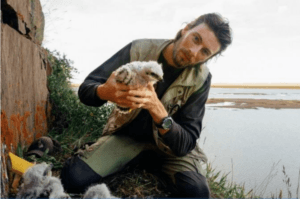 He founded his own wildlife consulting company in 2012, working as an independent consulting biologist on various wildlife projects around Canada and abroad. He also worked for two years with the Government of Nunavut’s Department of Environment in Nunavut on various wildlife programs involving caribou, muskox and Arctic raptors. He is an avid outdoor enthusiast, photographer and fisherman. Myles has been involved with the installation and development of raptor mitigation nests in the Fraser Valley since 2010 and the installation of streaming web cameras in raptor nests since 2006. He has been responsible for artificial nest enhancements for the majority of Bald Eagle mitigation nest projects on the south coast of British Columbia. Recently retired as an Emeritus Professor of Wildlife Biology and Director of the Avian Science and Conservation Centre of McGill University in Montreal, Quebec and now living on Vancouver Island, Dr. David Bird has published 200 peer-reviewed papers and supervised 50 graduate students on a wide range of wildlife themes, including endangered species, toxicology, captive propagation of birds of prey, human-wildlife conflicts, and today, the application of UAVs to wildlife research and conservation. He is also a Founding Director and Senior Science Director at the Hancock Wildlife Foundation. Dr. Bird is a past-president of the Raptor Research Foundation Inc., past-president of the Society of Canadian Ornithologists, an elected Fellow of the American Ornithologists Union, a former member of the Board of Directors of the American Birding Association, an elected member representing Canada on the prestigious International Ornithological Committee, and recently, a member of the Board of Directors of Bird Studies Canada. He is the Founding Editor of a newly launched peer-reviewed publication, the Journal of Unmanned Vehicle Systems and sits on the board of Unmanned Systems Canada, an organization dedicated to the use of unmanned vehicles. 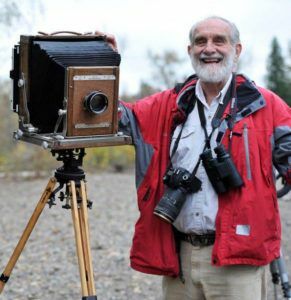 Besides his innumerable public lectures and radio and television appearances, Dr. Bird was also a regular columnist on birds for The Gazette of Montreal and continues to write regular columns on birds for Bird Watchers Digest magazine and Canadian Wildlife magazine. In 2013 the Canadian Wildlife Federation honored him with the Roland Michener Award for Wildlife Conservation. Of particular interest, he is co-author and editor of Raptor Research and Management Techniques 2007 published by Hancock House Publishers. Due to the varied nature of clients and work, we offer a tiered pricing structure, recognizing that the objectives and budgets vary greatly between private landowners, community organizations, governments, consultants groups and developers. We often participate in the development of programs supporting the ecological education of children, school groups or the general public. Such programs fall within the scope and mission statement of the Hancock Wildlife Foundation and we encourage collaboration on such programs. Given every project has its own unique problems and challenges, we incorporate a variety of avenues to address each proposal. d) Mitigation initiation or follow-up monitoring on mitigation success. 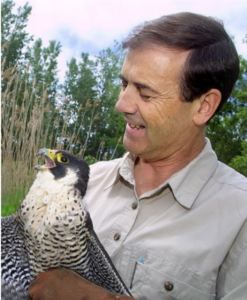 Revenues from these commercial projects are re-invested into the Hancock Wildlife Foundation Raptor Mitigation Fund which aims to develop research and educational projects within British Columbia. More information on these projects is available upon request. Please contact us for a breakdown of potential scope and cost structure. As an additional option to commercial clients, the Hancock Wildlife Foundation is able to provide tax deductible receipts for consultation projects if desired by the client. We encourage any interested parties to get in touch with our foundation to discuss potential raptor habitat improvement or mitigation projects or to inquire about new or any of our existing monitoring and live streaming cam programs. Project: Esplanade relocation of Bald Eagle nest and two other nest modifications. Project: Surrey consulting on Bald Eagle nest disturbance and modification of new tree. Project: Delta, ongoing consulting on Bald Eagle nest removals, disturbance mitigation and long-term planning throughout Fraser Valley.